Embrace the curved style of the Double C Dresser from the Daytona collection by Signorini & Coco. Handcrafted in Tuscany by skilled Italian artisans, the Double C Dresser features a beautiful sculpted plywood overlaid with a precious dark walnut veneer. The top drawer is upholstered in a padded luxury leather with glamorous burnished brass handles adorning all three storage drawers. 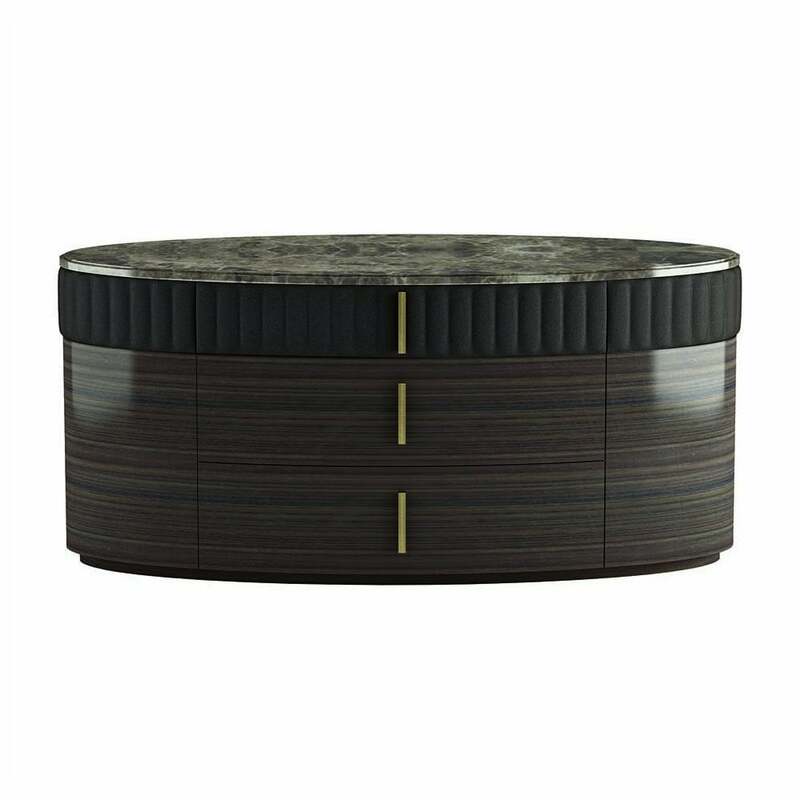 Complementing the use of mixed materials, an exquisite marble surface sits atop the Double C dresser. Style in the bedroom with other complementary pieces from Daytona collection. Signorini & Coco offer a wide selection of finishes including various lacquered woods for the structure and complementing marble and wood for the dresser’s surface. Priced for Emperador Marble Or Wooden Top. Cat A Fabric.